12 points go to… Hungary! 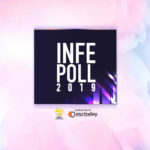 Slovakia’s 12 points go their neighbours in Hungary and Joci Pápai, who actually receives his first votes for the INFE Poll 2019! This is also the case for Montenegro, Slovenia and San Marino, which all mark their first points on the scoreboard. 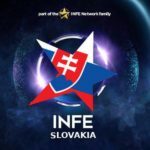 Despite not being awarded any points by INFE Slovakia members, Switzerland and The Netherlands keep topping the scoreboard, with 73 points each. Italy remains third with 65 points overall. INFE Slovakia is INFE family’s younger member with less than two months existence. Despite the bad results and the country’s withdrawal from Eurovision, the new club aims to revive the interest to the contest within the country and keep the Eurovision spirit alive.